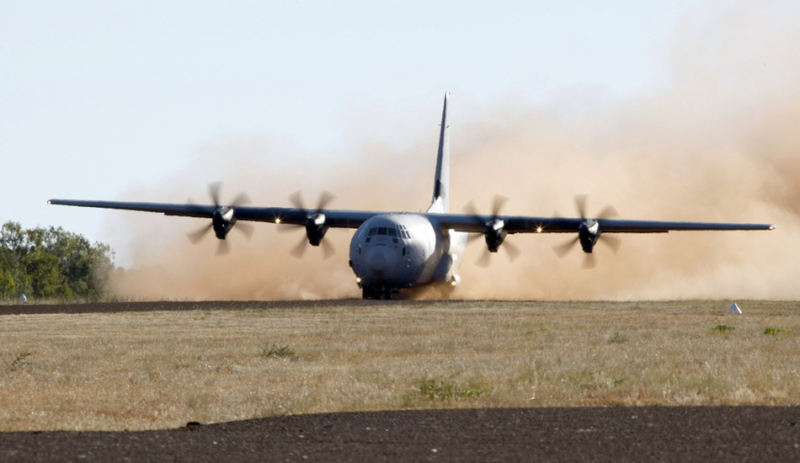 A C130J aircraft takes off from the Delamere Range Facility airfield in support of operations for Exercise Pitch Black. Quickstep is the sole source supplier of carbon-fibre composite wing flaps for the C-130J Super Hercules aircraft. A strong domestic defence industry in Australia may be a noble pursuit, but the CEO of one Australia’s most successful SMEs has cautioned other businesses, stressing the need for an international focus. Quickstep's new chief executive and managing director Mark Burgess joined Defence Connect where he discussed the downfalls of too much focus on a domestic audience, rather than a global audience. "One of the things I'm always really frustrated by here is the proudly Australian owned, the proudly Australian made," explained Burgess. "It's great marketing for a domestic audience. I think sometimes though it becomes a caution to which Australians live in terms of considering themselves in a parochial market context when there's just 24 million people at the bottom of the world. "And really, almost every industry segment in this country operates in a global environment." Burgess' sentiments are in line with others in the industry, particularly the government, which is currently finalising its Defence Export Strategy, which Minister for Defence Industry Christopher Pyne hopes will go a long way in reversing Australia's current defence import and export figures. "Currently we rank fifth in the world for defence imports, but 20th in the world for exports," Minister Pyne previously explained. "We will strive to reverse those numbers. The Turnbull government will release a Defence Export Strategy later this year to plan, guide and measure defence export outcomes." And this global focus is one of the reasons Burgess, who previously worked for Honeywell Aerospace Asia Pacific and BAE Systems across the UK, Middle East and south-east Asia, was attracted to the role of CEO and managing director at Quickstep. "One of the things that attracted me to Quickstep actually was a really progressive and globalised board and leadership team. But it is one of the things I see when I talk to peers, some of our supply chain," he said. "It frustrates me that people lose sight of the fact that Australia is in the G20 but that means there's 19 other large global economies. And in all industry segments, Australia is a pretty small market relative to the rest of the world. We’ve got to set our sights on the rest of the world rather than Australia." To hear more from Mark Burgess, listen to our podcast here.